This weekend, I had the opportunity to attend a Mito S.P.A. (Support, Play, Acknowledge) retreat for parents, caregivers and adult patients affected by Mitochodrial Disease. In addition to being pampered and being able to relax in a hotel sans children, it was a good chance to catch up with friends, meet new people on similar journeys, and to hear the perspectives of adults living with Mito. The activities were centered around the “Welcome to Holland” poem, which if you’ve read my blog for awhile, you know resonates with me. The organizers did a fabulous job with the theme, and there were games, activities and discussions that gave us all a lot to think about. They also had several slideshows with pictures we had sent in, which of course were tearjerkers. It was a great weekend, and since the babies did just fine without their momma for a day and a half, I really hope they do this again next year! 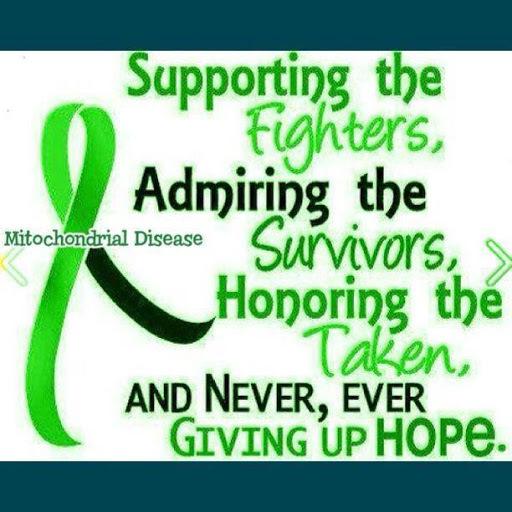 Today starts Mitochondrial Disease Awareness Week. Of course there are a lot of quotes, pictures and memes floating around Facebook and other sites to spread awareness. I’ve always liked the battery analogy when describing the disease to someone who’s never heard of it. When you start the day with a full charge on your phone, you are able to do a lot of things before it runs out: make phone calls, send emails and texts, post on FB or Twitter, check your bank statement, and maybe even spend some time playing games. By the end of the day, your battery might be low, but you’ve probably been able to accomplish all the tasks you needed your phone to do. This is what people living with Mitochondrial Disease face- their mitochondria in their cells do not produce enough energy for their body to function properly. They simply cannot accomplish the tasks or live the quality of life someone with a “full battery” is able to live. Mitochondrial Disease can affect any organ system in the body and symptoms can vary significantly from one person to the next. In my circle of friends who have kids with Mito, none of our kids are affected the same way. Some kids have severe GI issues, but can walk, talk and cognitively are fine. Many have feeding tubes but some don’t. Many have seizures, but not all. 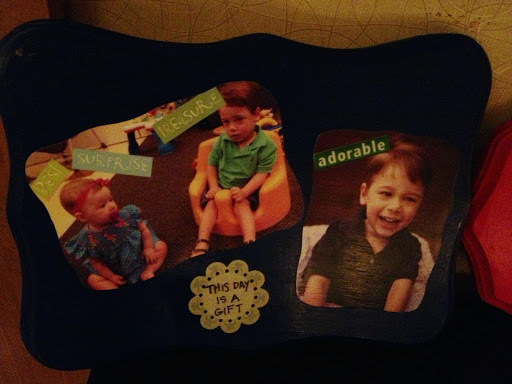 It’s especially amazing/strange to me that my friend’s son who also has Leigh’s Syndrome (a very specific type of Mito) presents so very differently than Grayson. If you didn’t know, you would never guess they have the same disease and the same awful prognosis. If you would like more info on Mitochondrial Disease visit www.umf.org or www.mitoaction.org. Both are great organizations who offer wonderful information and support. Also, if you have any questions about Mitochondrial Disease (or Leigh’s Syndrome specifically), Grayson, or anything regarding parenting a child with Mito, ask me in the comments and I’ll write a post later in the week answering questions (if I get any-ha!). Excellent way to describe mitochondrial disease with the cell battery. I'm glad you had a good day away with people who can relate! I have a question – how have we never discussed the fact that we graduated from A&M the same year, with the same degree program? Our friendship was meant to be, apparently it just was going to happen 10 years later. 🙂 Thank you for your support, friendship and kindness. Looking forward to little girl playdates while straddling the worlds of Italy and Holland. I am so glad that you had a great time at the retreat! What a great weekend for all, and glad the kiddos did well at home! Thank you for the battery analogy. I now understand a bit more what that may feel like. You are a good mama! Im glad you took time to recharge your own battery!